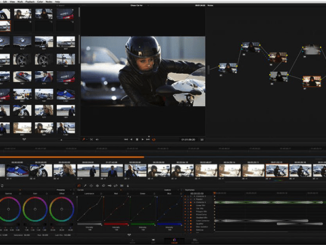 In our previous lesson of our look at learning BlackMagic Design’s DaVinci Resolve, we took an introductory look at the Edit Module. 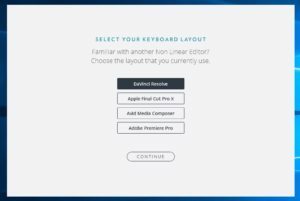 In this lesson, we’re going to move on and talk about your Keyboard Shortcuts/Preferences, where to find them, and how to alter them if necessary. 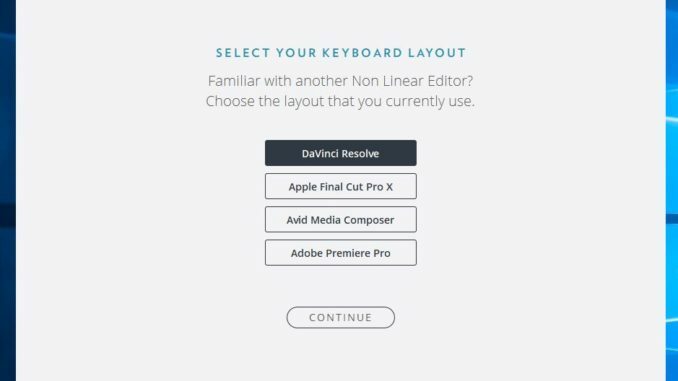 One thing you’ll notice, right off the bat, when you install DaVinci Resolve, is that when you launch it for the first time, you’ll get a pop up asking you how you want to set up your keyboard shortcuts, assuming you’re coming from another NLE (Premiere, Avid, Final Cut Pro X). 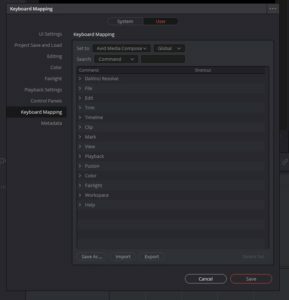 If you aren’t migrating from another NLE, and don’t really care about how your default keyboard is layed out, you can simply select “DaVinci Resolve”, and go with that standard keyboard layout. Now, with that being said, finding the keyboard shortcuts, or the “Keyboard Mapping” window is a little tricky, as it’s not readily apparent where it is. Simply head to your preferences by hitting CTL/CMD+, on the keyboard. Once here, there are actually two sets of preferences. System and User. We want the “User” preferences, and once selected, you can head to to “Keyboard Mapping” preference, and either change the default keyboard layout, find a shortcut you need to know, or remap something to whatever you want it to be. 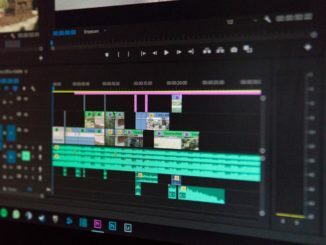 Your keyboard preferences are essential, as they will help you get up to speed as quickly as possible, and get you editing your projects lightning quick! 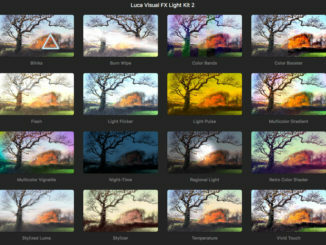 Meanwhile, check out our entire catalog of tutorials for DaVinci Resolve here. There is simply no keyboard mapping option for me. Between “Control Panels” and “Metadata” ist no Option. Can it be that this is only available in the payd version? I could not find anything about it. 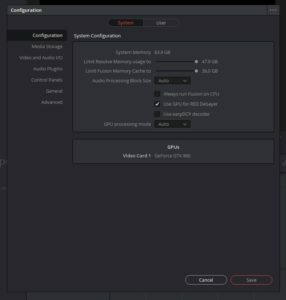 In Resolve 15.2, press CTL/CMD+, on the keyboard to call up the system preferences. Select “User” at the top of the window, and then head down to Keyboard Mapping. You should be all set to go. Hope this helps. This was exactly the place I was looking for it. But the “Keyboard Mapping” – Option is just not there. I see the pictures on the Internet. It should be right above “Metadata”. I have the same problem. The option is not there. Did you get a solution?